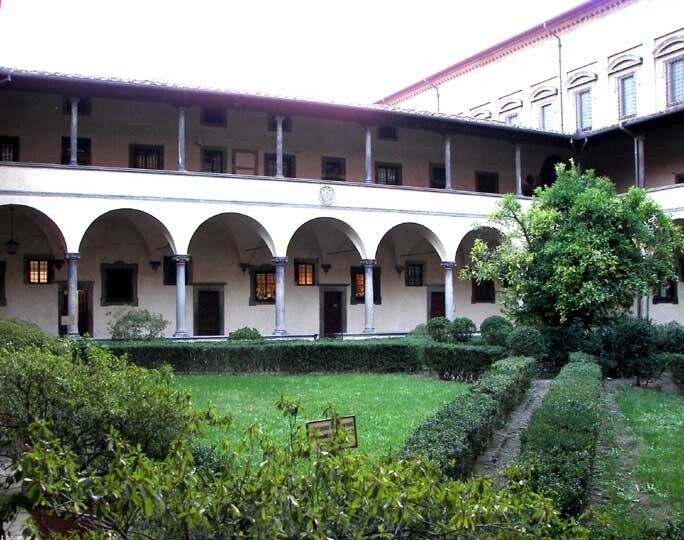 Attached to San Lorenzo is the Canons' Cloister, added to San Lorenzo in the 15th century and designed by Filippo Brunelleschi. Work on the cloister began around 1420. The cloister has an open-air garden with lemon trees and other plants. On the walls, one finds plaques commemorating various events.